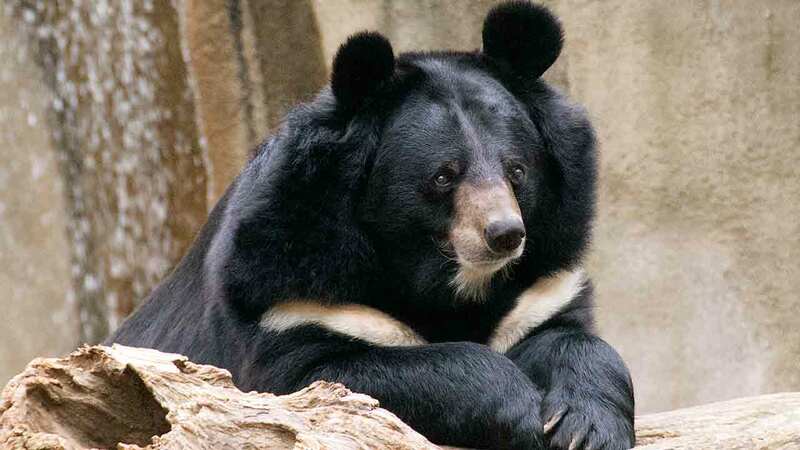 PHILADELPHIA (WPVI) -- Officials at the Philadelphia Zoo announced Wednesday the passing of their beloved 23-year-old male Asiatic black bear, known as Ben. Ben was euthanized after being treated for squamous cell carcinoma. "We are very sad for this loss. Ben was a remarkable individual and will be missed by the many who came to visit him," said Dr. Andy Baker, Chief Operating Officer at Philadelphia Zoo. "He received great care from his keepers and the veterinary team during a long and healthy life here. He was an important ambassador to wild bears, who are increasingly threatened with habitat loss and by poaching, often for parts used in traditional medicines in Asia." Back in April, zookeepers found a non-healing wound on Ben's front paw. The lesion continued to worsen, and in June he was diagnosed with squamous cell carcinoma, a malignant skin tumor. The tumor was surgically removed, and for a time the surgery appeared successful and the foot began to heal. But by September, the squamous cell carcinoma had returned, and this time the cancer was invading more deeply into the foot. Given the poor prognosis for successful treatment and a good quality of life for Ben, zoo officials concluded that euthanasia was the most humane option. Ben was born in August 1994 at the Natural Bridge Zoological Park in Virginia, and arrived in Philadelphia in April 2002.